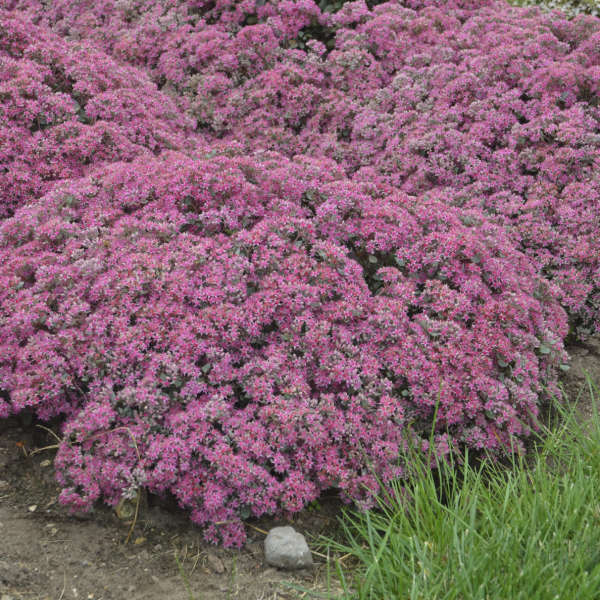 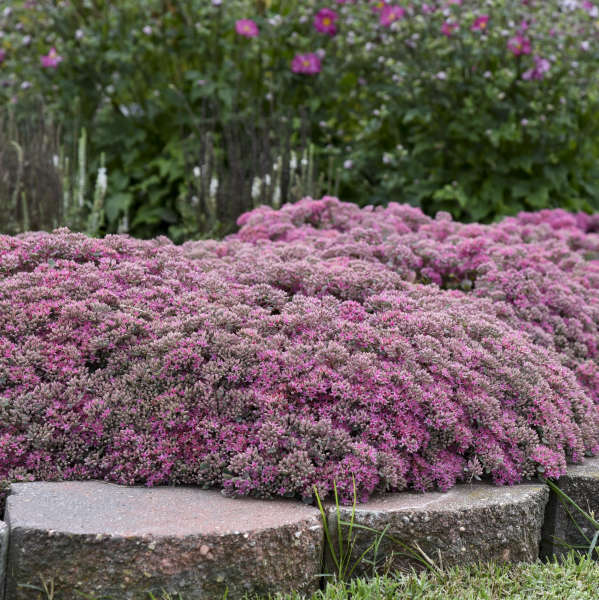 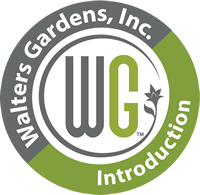 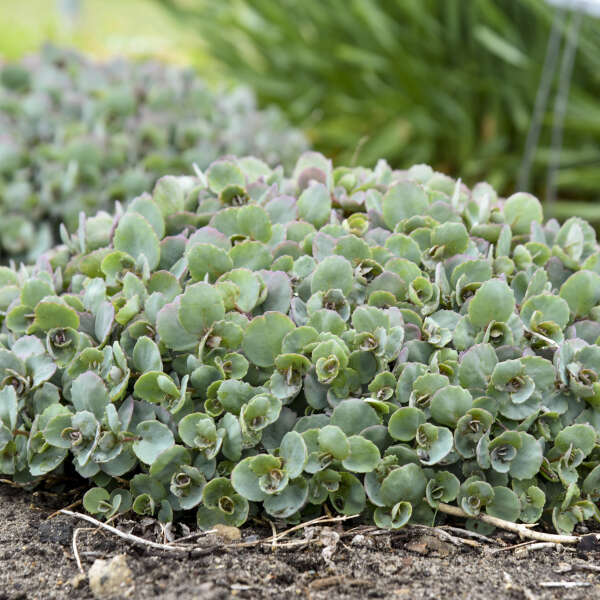 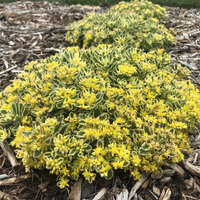 Sedum 'Popstar' PPAF CPBRAF | Walters Gardens, Inc. 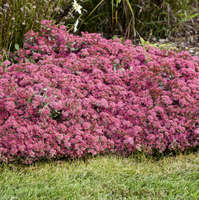 This low maintenance, compact Stonecrop will be the star of your late summer garden. 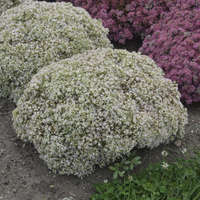 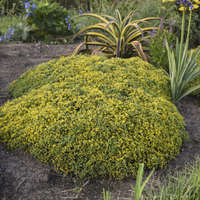 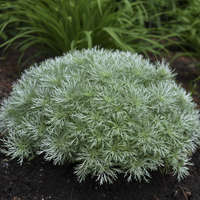 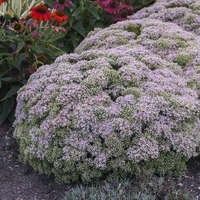 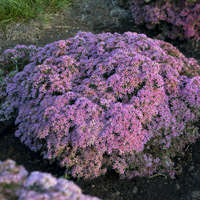 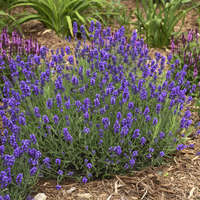 In the summer, blue-green foliage appears on grey-purple stems with a dense, full habit, an improvement in form from the classic Sedum cauticola. 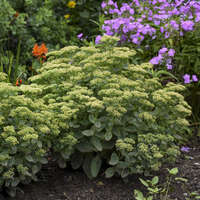 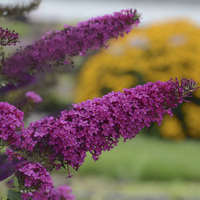 In late summer to early fall, the dense mound is completely covered with creamy grey buds that burst open to cheery, salmon pink flowers. 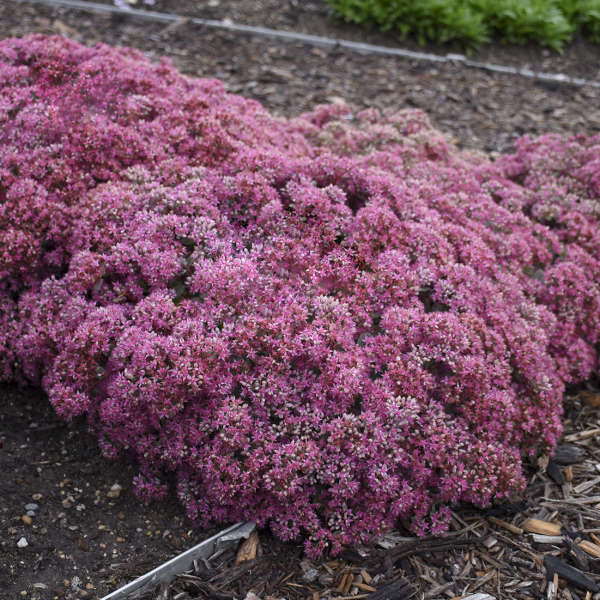 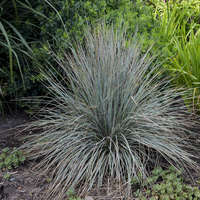 When the flowering period is finished, darker pink seed pods extend the interest of the plant further into fall. 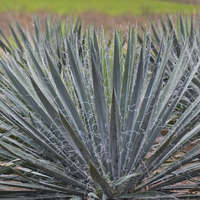 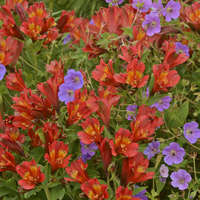 Don't miss its darker hued counterpart, 'Superstar'!